Hemodynamic consequences during video-assisted thoracoscopic surgery (VATS) with decortication during empyema drainage are unclear. 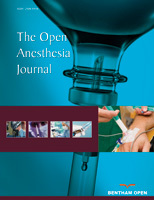 The aim of the study was to assess the perioperative hemodynamic changes decortication during empyema drainage. A prospective study enrolled 23 patients with empyema who underwent decortication. Hemodynamic parameters were continuously obtained at 15 time points: supine two lung ventilation after induction, lateral decubitus position and two lung ventilation, lateral decubitus position and one-lung ventilation, every 5 min after decortication upto 60 minutes and at the end of surgery. We divided patients into three groups according to microorganisms, group 1: patients with no growth of organism; group 2: patients with staphylococcus aureus and pseudomonas; group 3: patients with streptococcus, yeast and fungus, gram-positive bacilli, and mycobacterium tuberculosis. The hemodynamic variables were recorded by the third-generation Vigileo/FloTracTM system and variables for each time interval were compared with the baseline by Wilcoxon Signed Ranks Test. In group 1, hemodynamic parameters showed no significant changes over time. However, in group 2 and 3, both CO and CI increased 10 to 15 minutes after decortication and remained elevated during the remainder of surgery. However, SVR and SVRI decreased 10 to 15 minutes after decortication in both groups, especially, with a more significant decrease noted in group 2 than group 3. Close perioperative hemodynamic monitoring during decortication in empyema patients is required because of potential hemodynamic disturbances especially patients with toxic microorganisms. Keywords: Empyema, Decortication, Video-assisted thoracoscopic surgery (VATS), FloTrac/VigileoTM, One lung ventilation, Hemodynamic changes and anesthesia.